Facili Trac enables users to budget and track current expenses and receive real-time updates and feedback from workers in the field. Conveniently request service, get access to site lists, view service history, check work order status and expense summary by site. Facili Trac is real-time. Users can access their site information, see Outstanding AR balances, and track filter records at any time from any device. 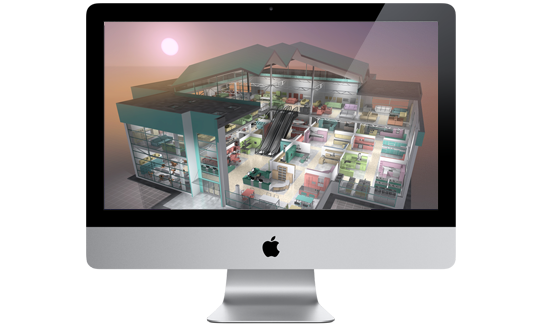 Facili Trac is designed to assist facility managers in tracking their HVACR expenditures and making accurate, reliable capital planning decisions. Forecast capital expense and access Sarbanes Oxley compliance reports for your current air filtration projects all from your work desk. Knowledge of the condition of your equipment is vital to its longevity. 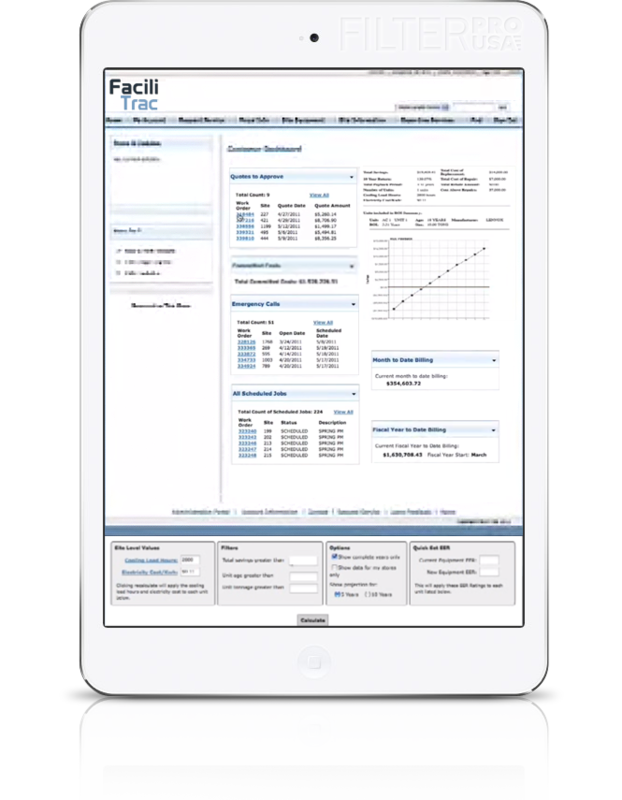 Use Facili Trac to keep equipment information at your fingertips.